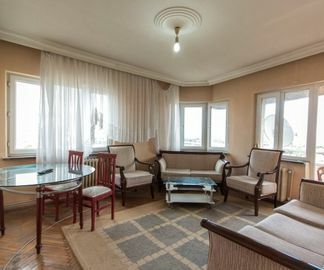 Enjoy the area's art galleries, monuments and museums and make a vacation rental your home during your stay in Balikesir. This city is well-known for its archaeology and parks. If you need more space to accommodate a family vacation or friends trip, rental homes often come with separate dining areas and spacious living rooms. The nearest airport is in Balıkesir (BZI), located 2.3 mi (3.7 km) from the city center. If you can't find a flight that works for your travel itinerary, you might consider flying into Edremit (EDO-Korfez), which is 46.3 mi (74.5 km) away. If you'd rather travel by train, the main station is Balikesir Station.